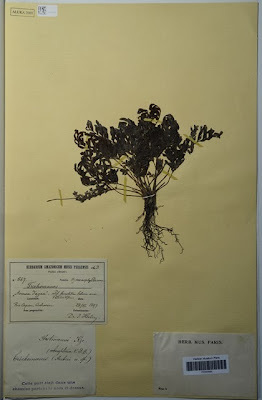 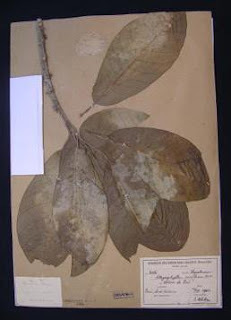 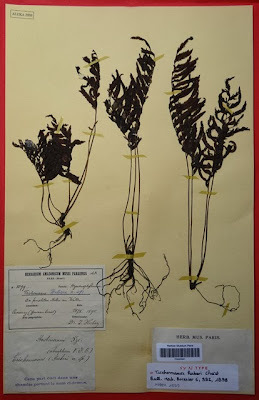 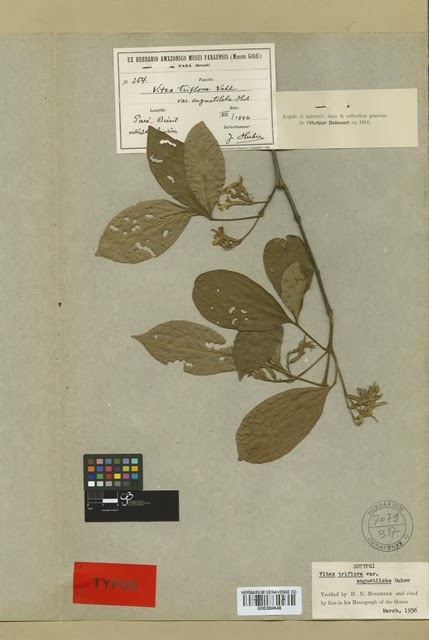 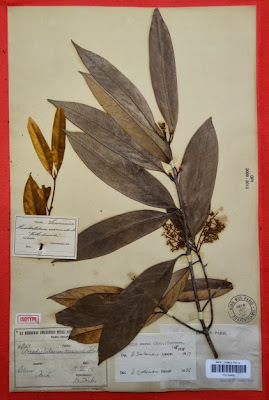 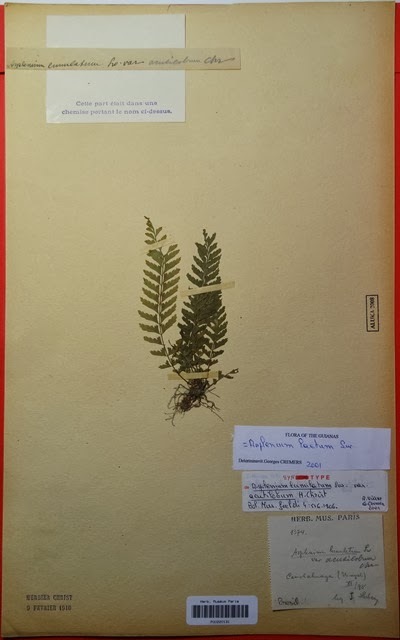 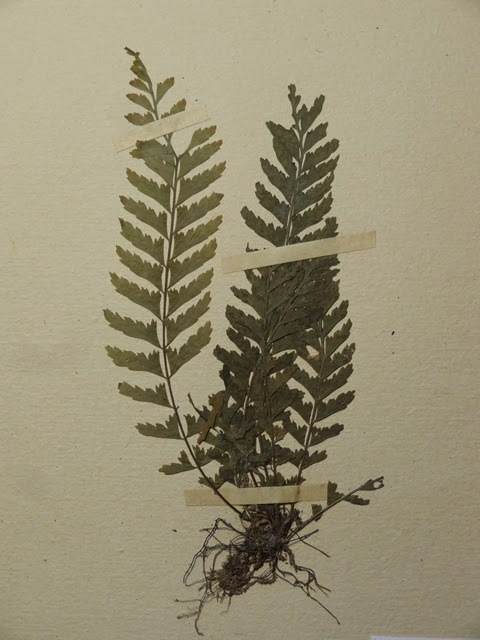 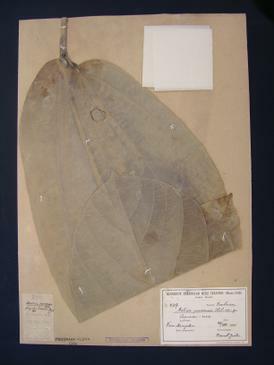 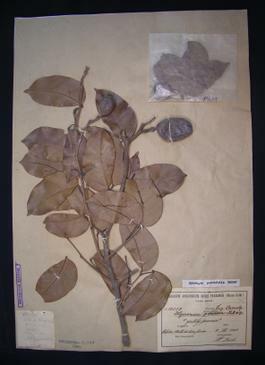 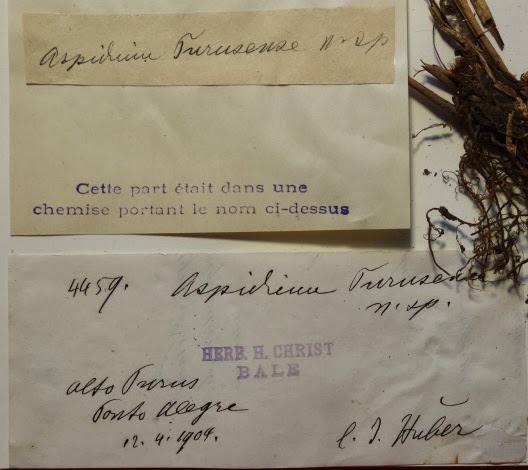 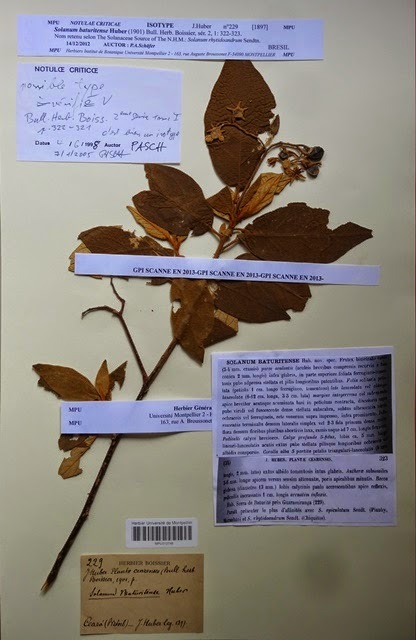 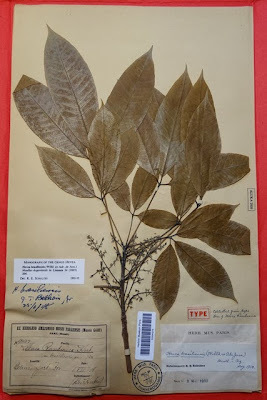 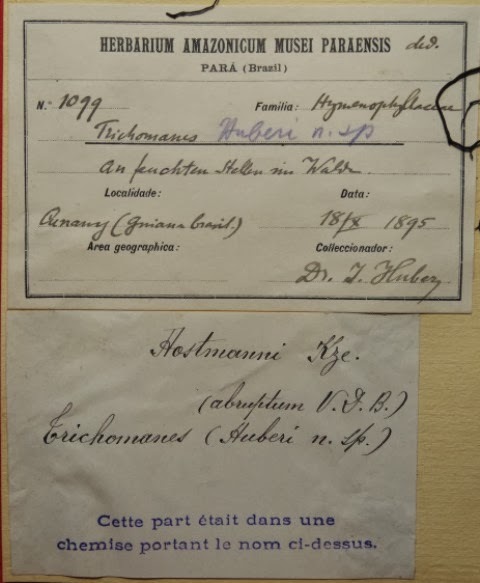 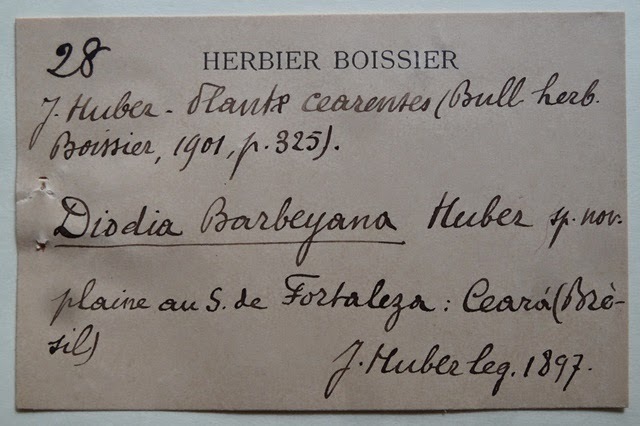 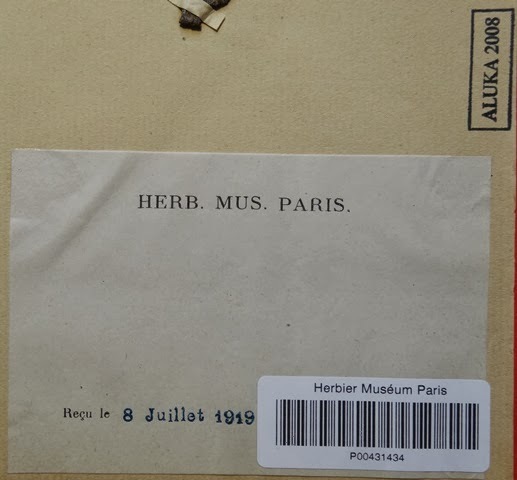 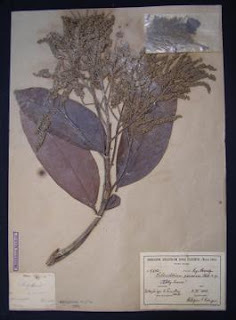 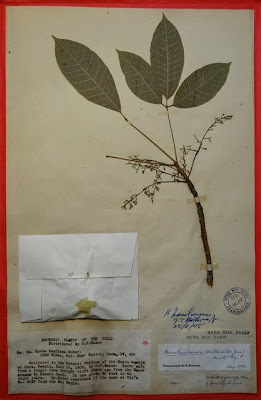 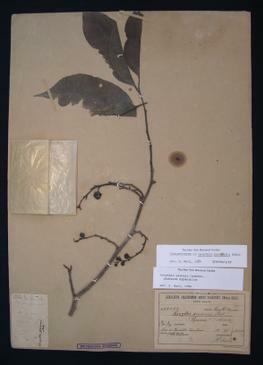 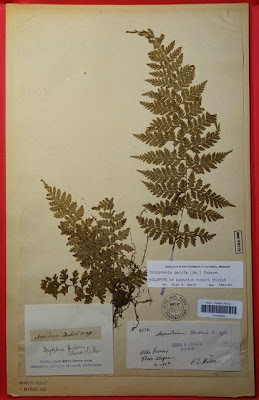 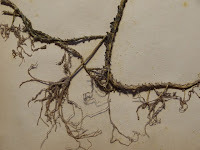 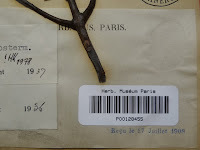 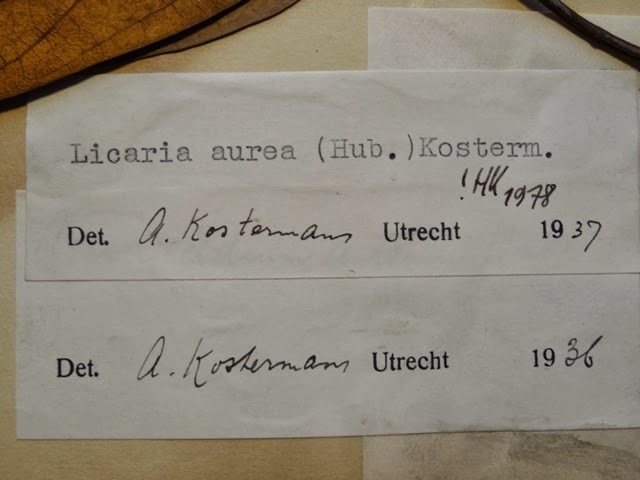 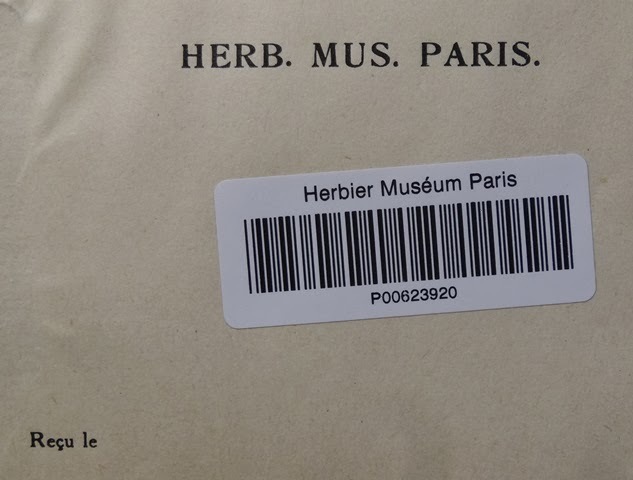 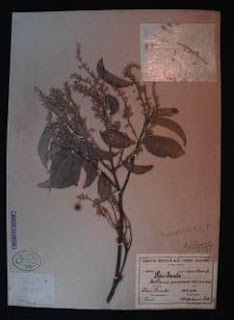 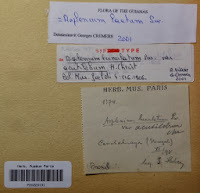 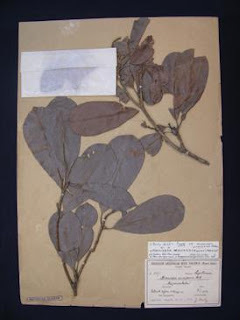 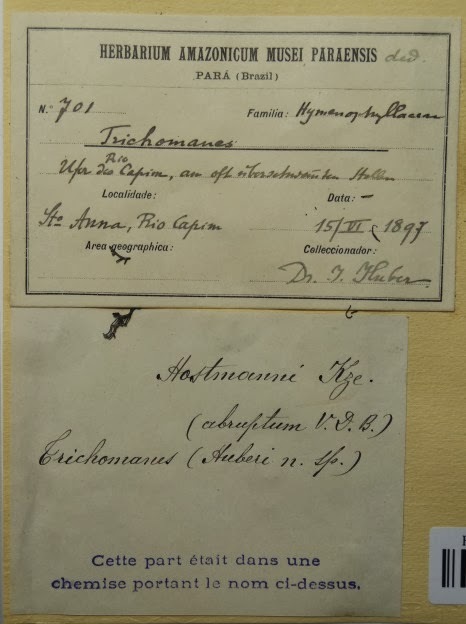 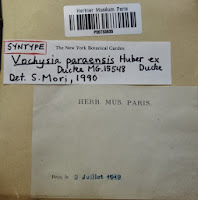 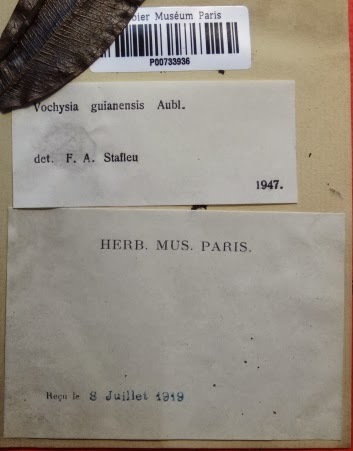 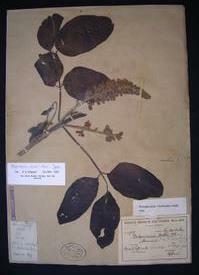 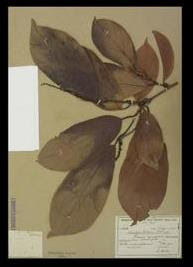 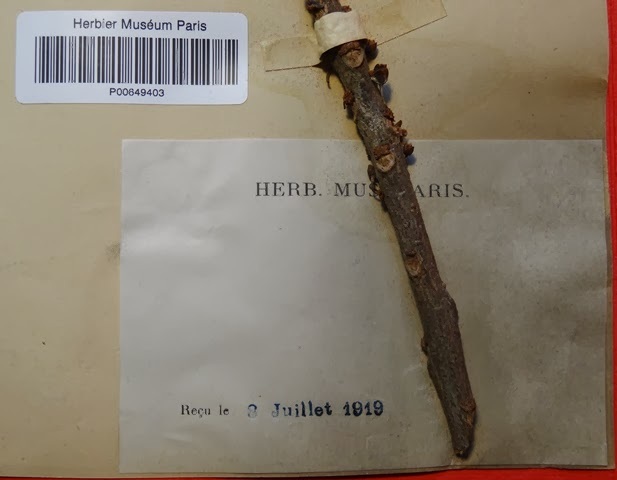 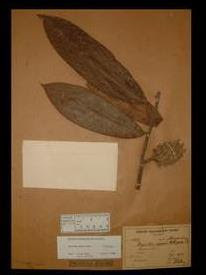 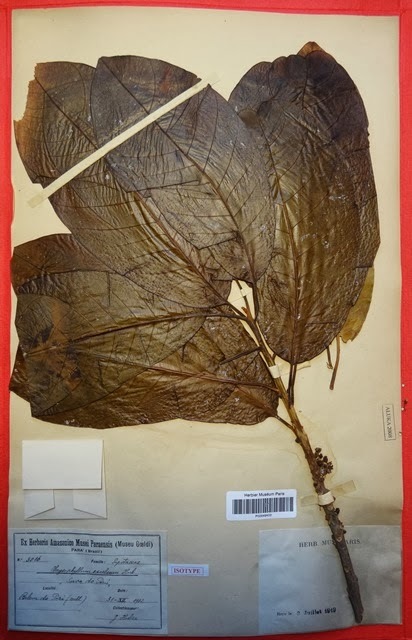 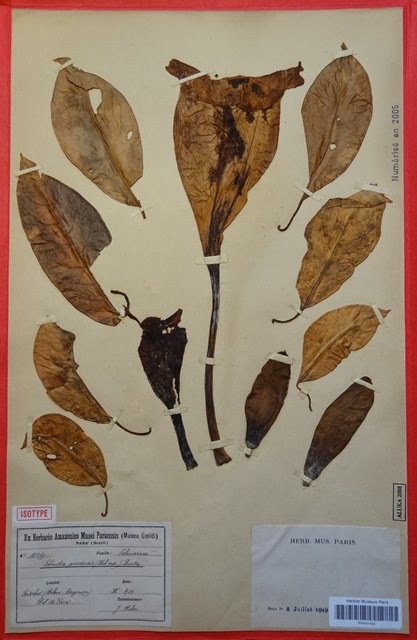 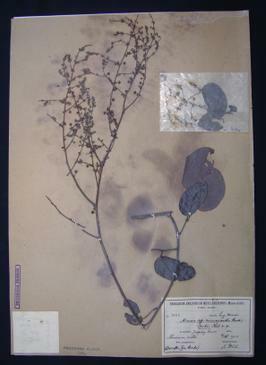 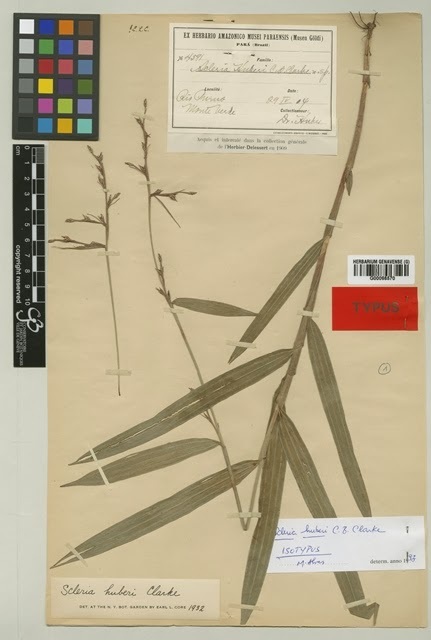 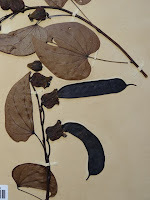 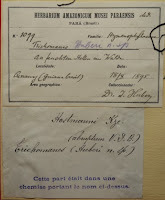 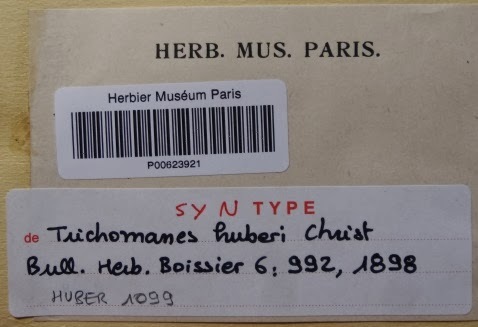 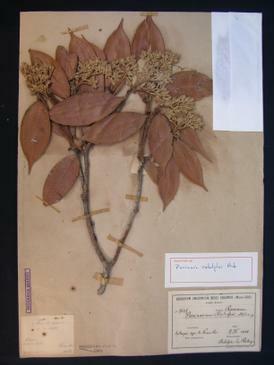 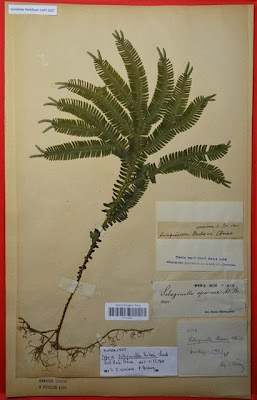 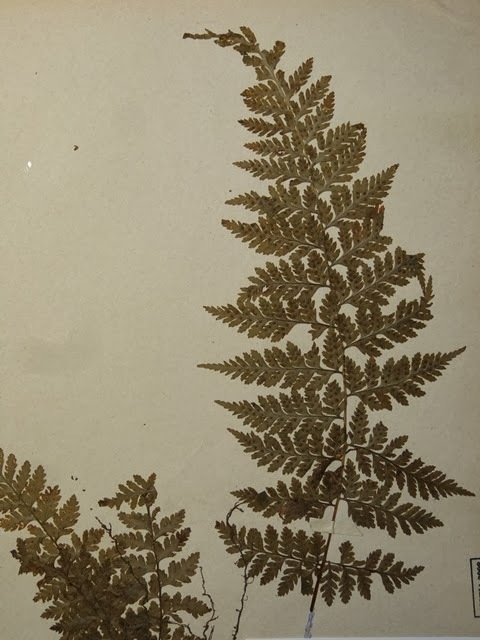 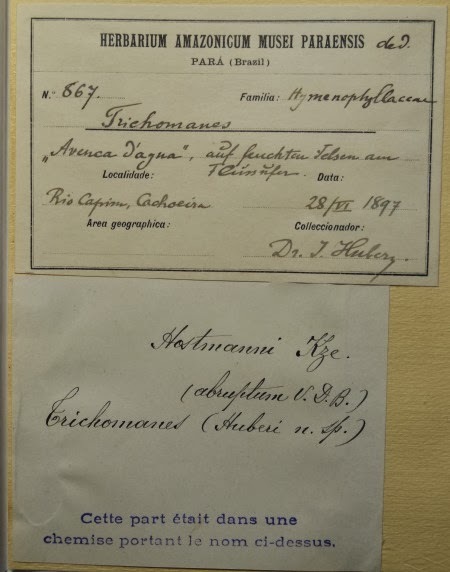 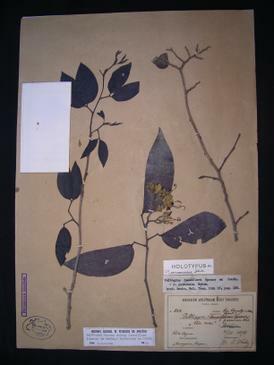 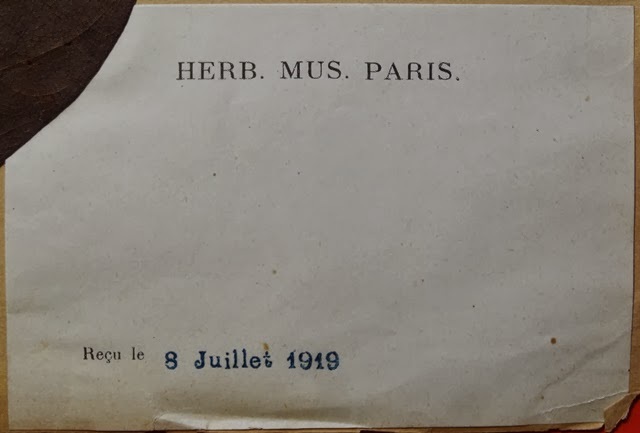 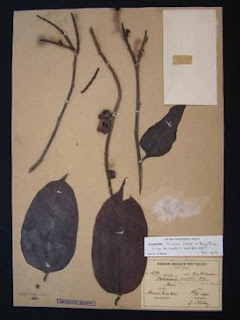 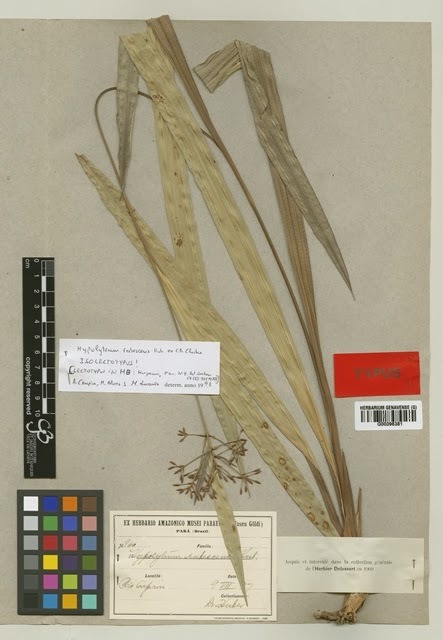 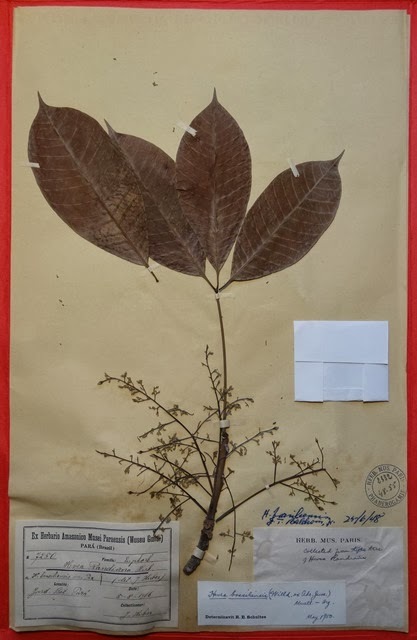 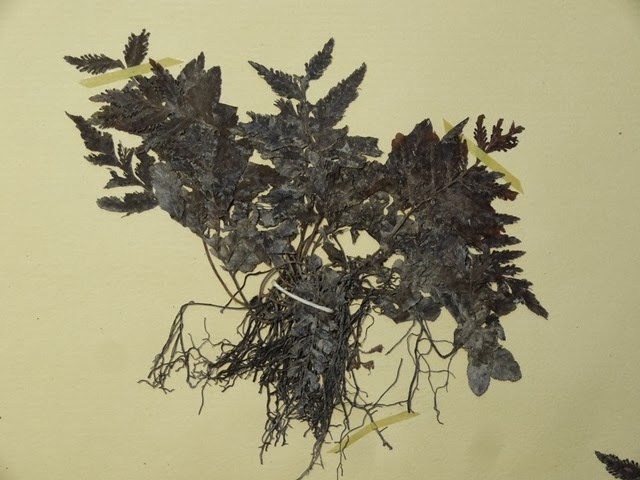 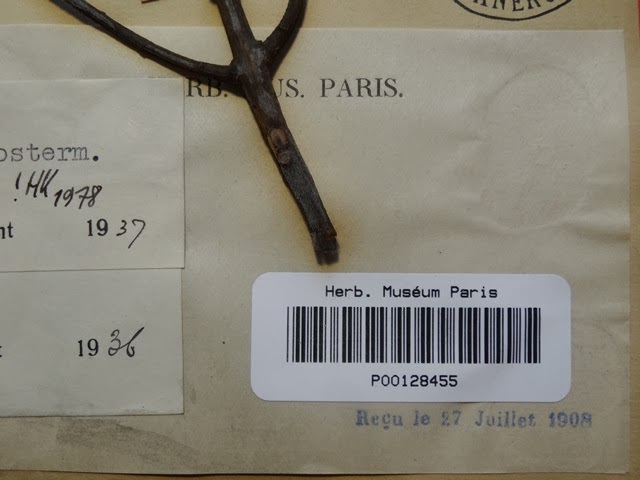 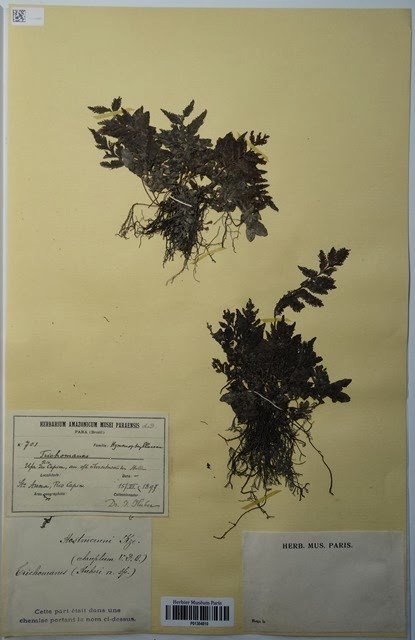 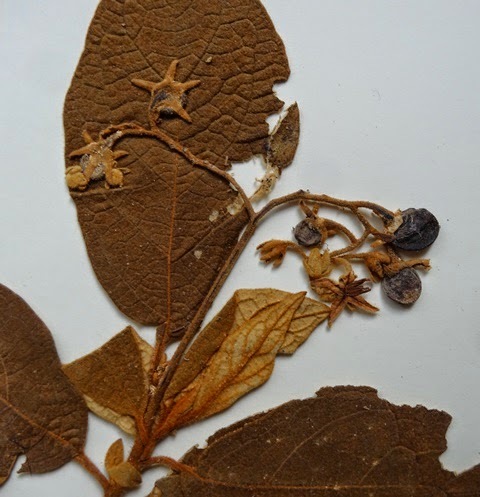 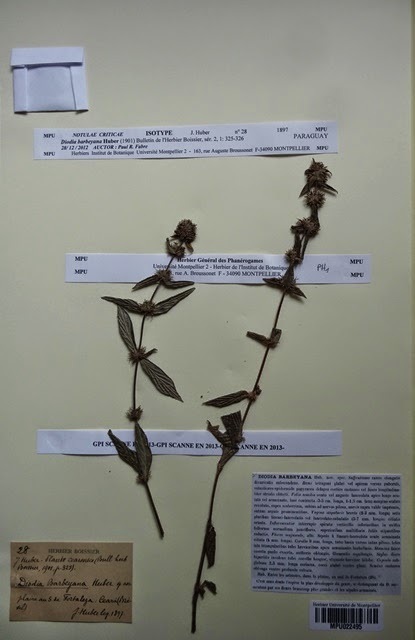 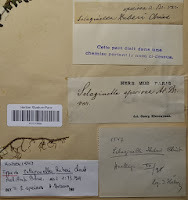 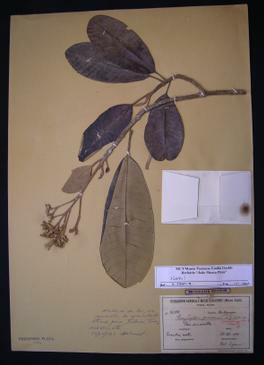 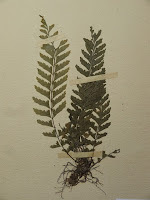 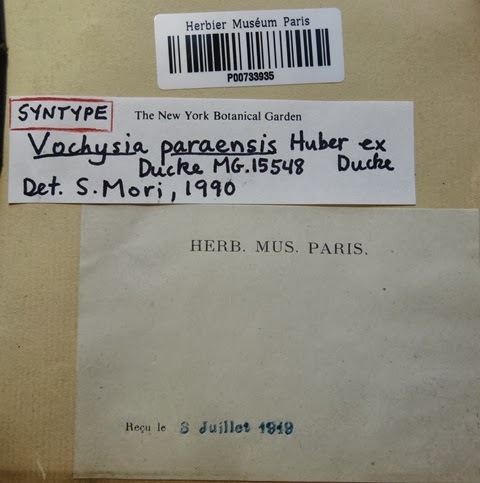 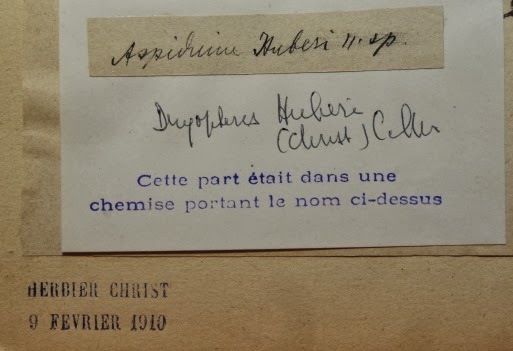 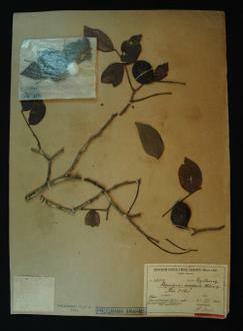 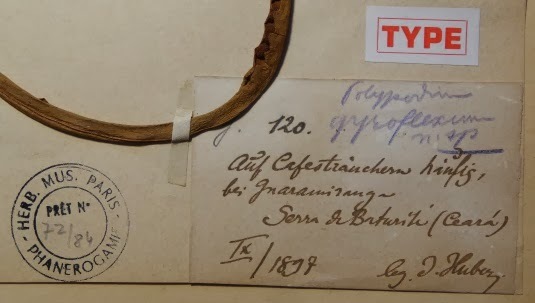 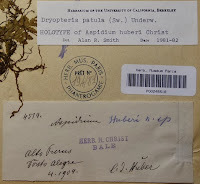 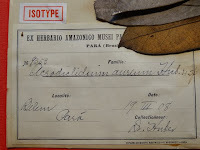 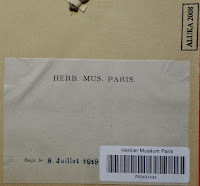 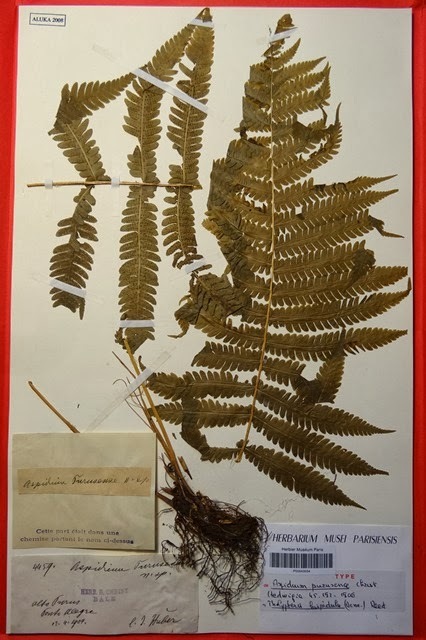 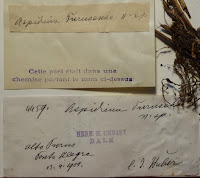 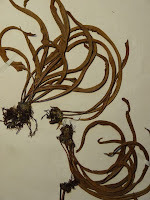 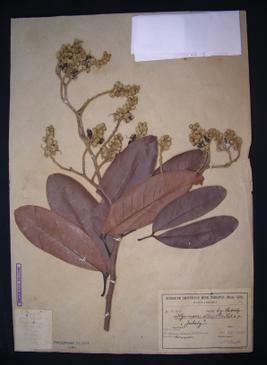 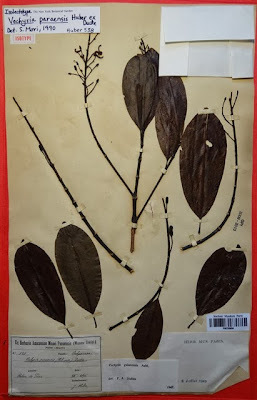 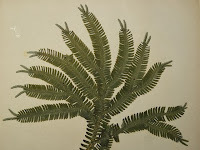 Two types of Jacques Huber were found in the Herbarium of the University of Montpellier 2, preserved in the Institute of Botany. 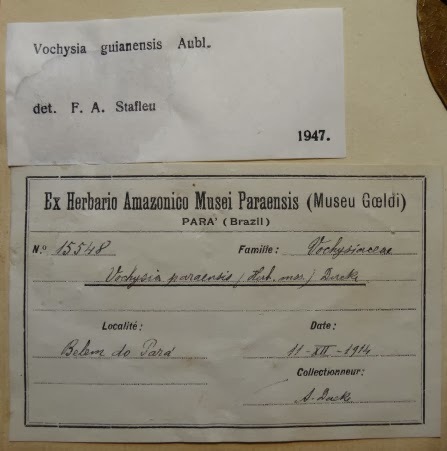 Both were collected in the State of Ceará, Brazilian Northeast. 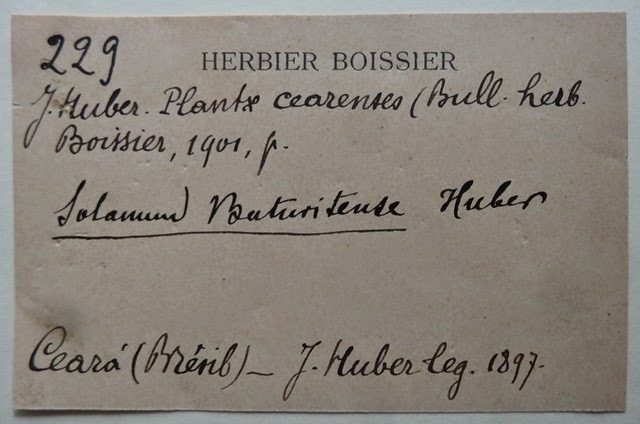 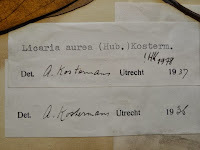 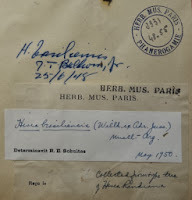 They were donated by the Herbier Boissier. 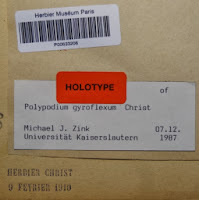 The reproduction was authorized. 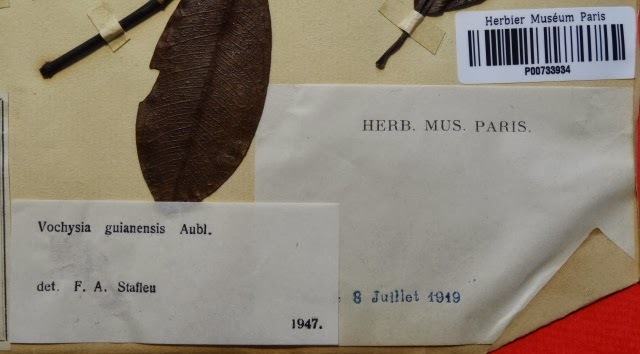 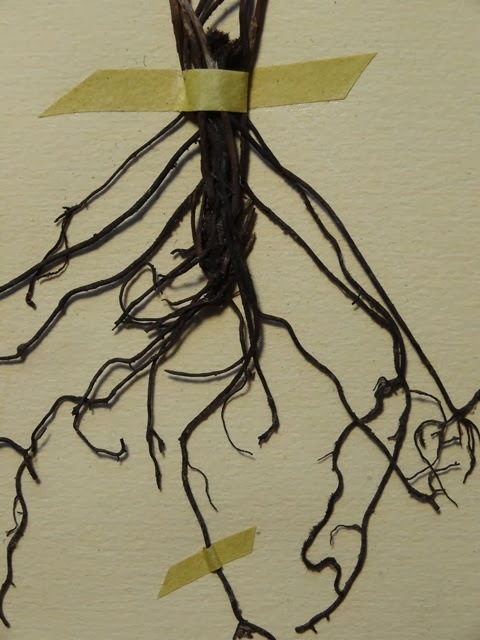 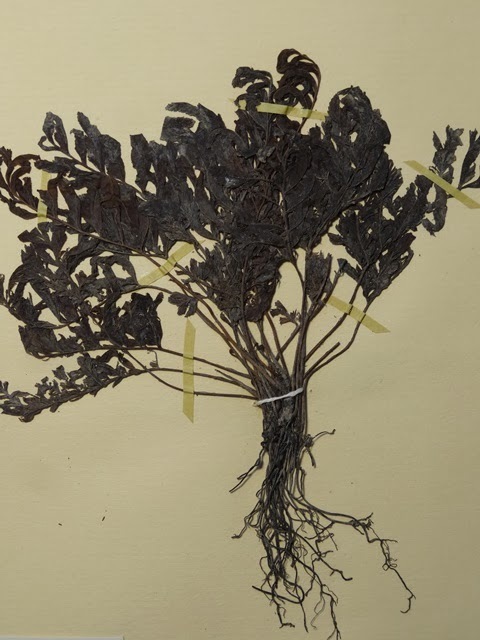 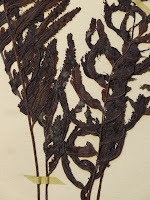 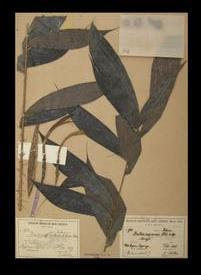 There are over four million samples preserved in MPU Herbarium, one of the largest French collections of dried plants. 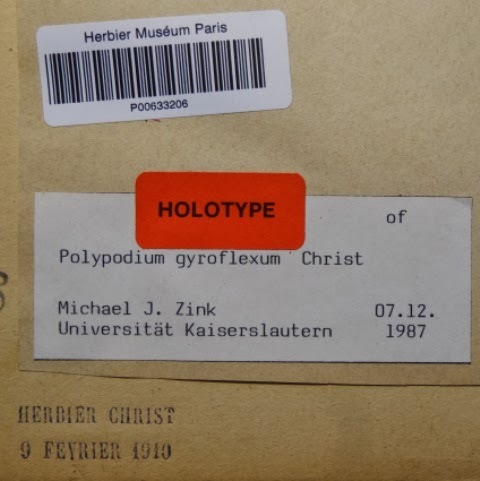 Types and historical samples are digitized and available on the online database. 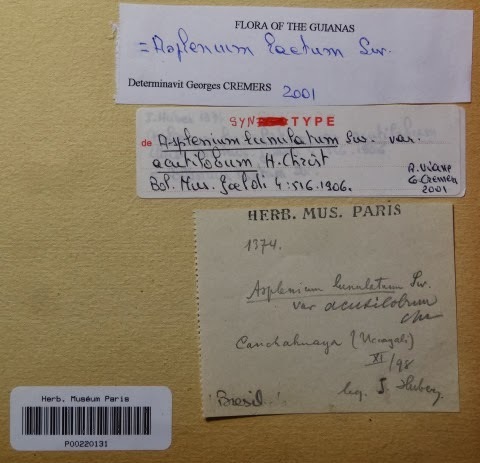 There are 99 specimens databased collected by Jacques Huber. Among them, 74 type specimens. 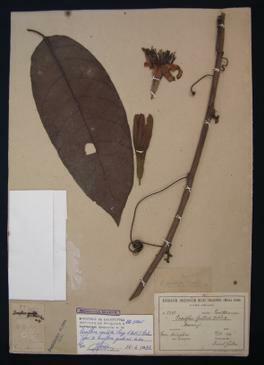 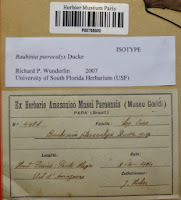 There are also large amount of new species described by Casimir de Candolle from plant collections sent by Huber. 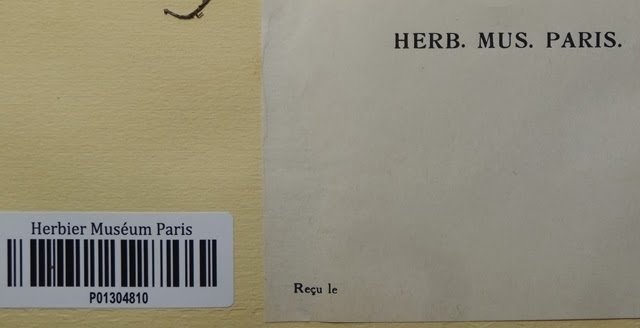 Bellow you can find 22 types with images already online at the Catalogue des Herbiers de Genève (in English and French). 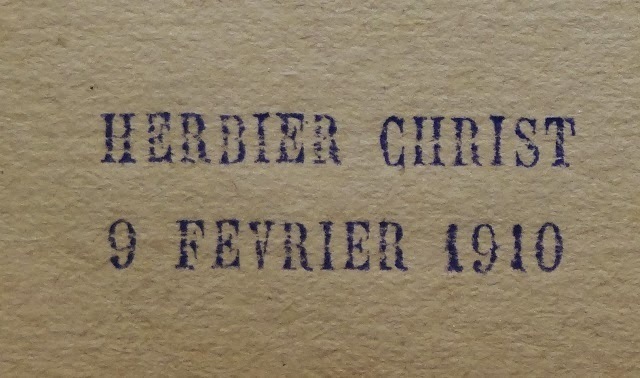 The reproduction was authorized. 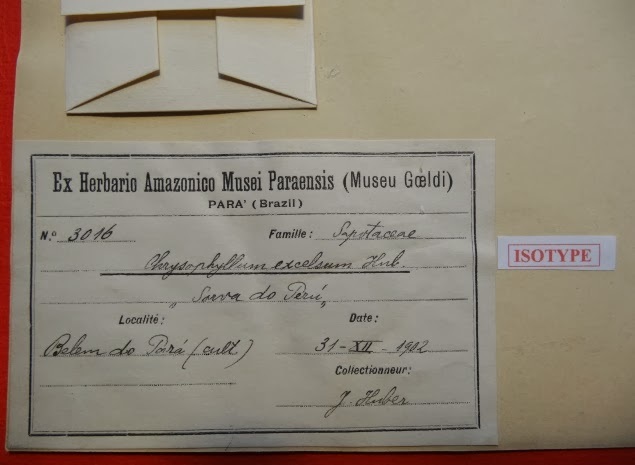 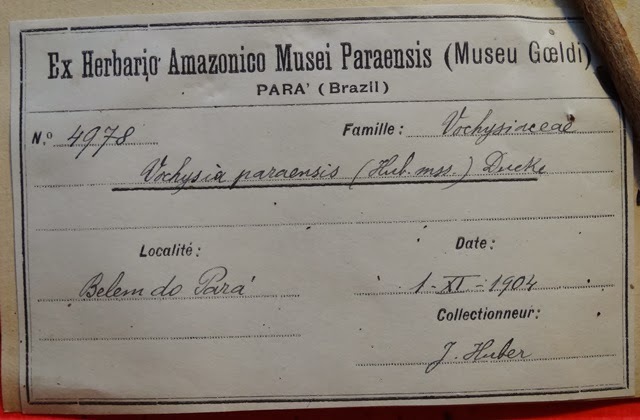 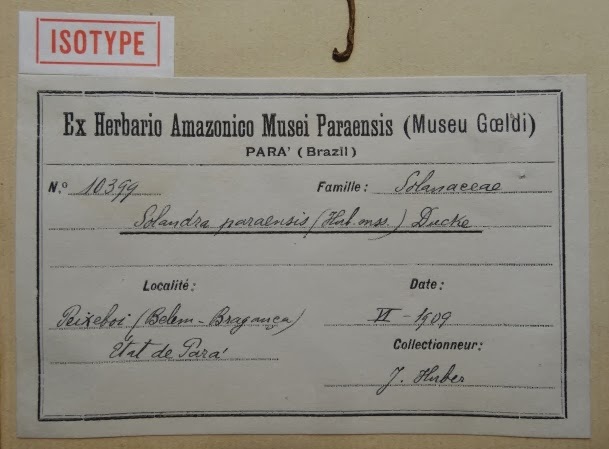 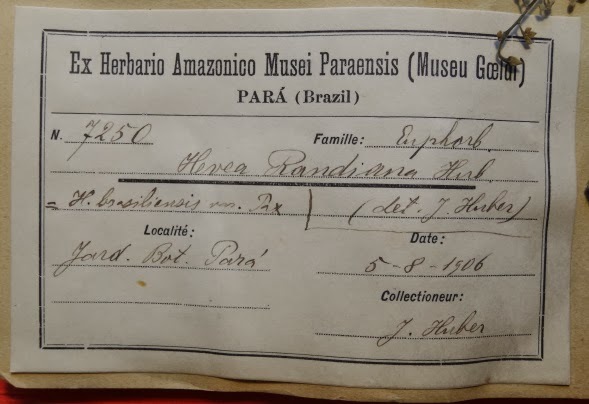 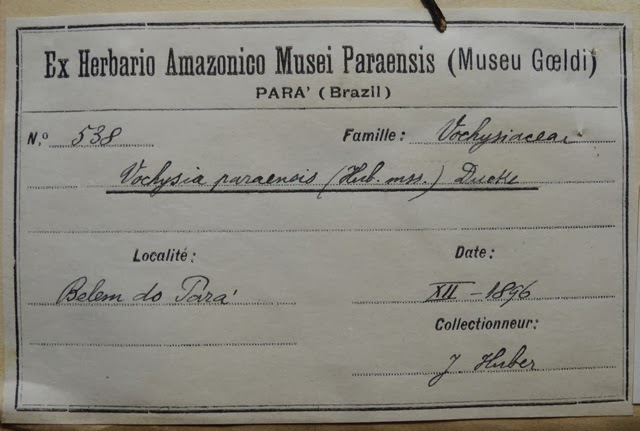 Here you can find 19 specimens collected by Jacques Huber in the Amazon and the state of Ceará, Brazil. 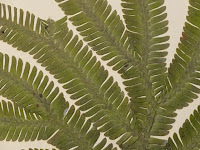 Among them, 17 nomenclatural types. 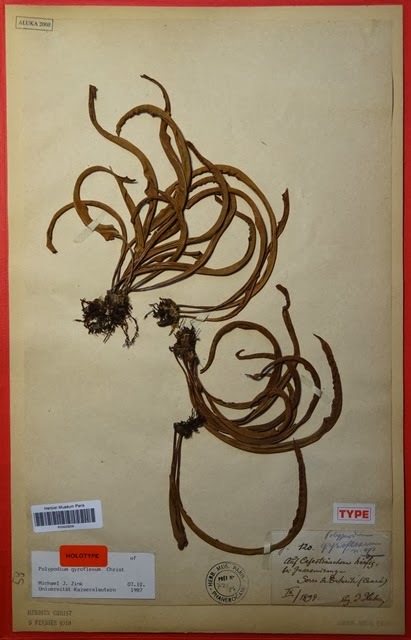 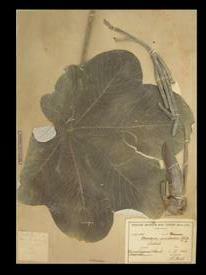 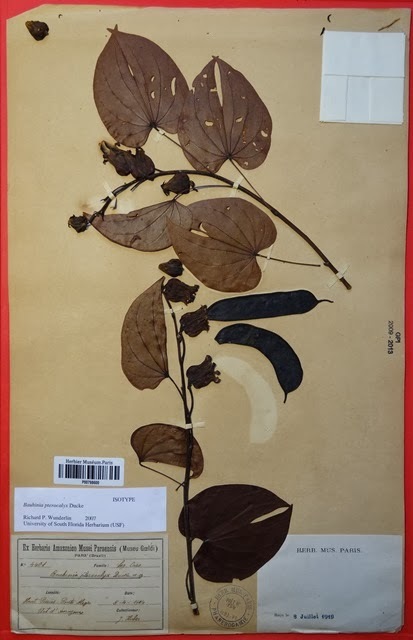 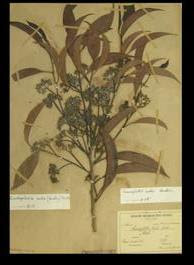 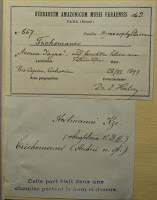 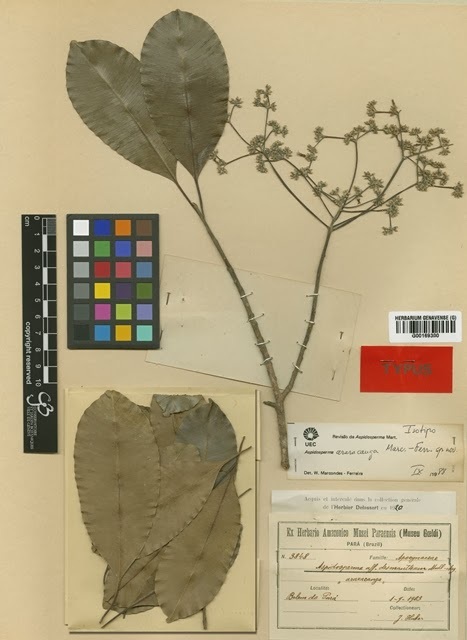 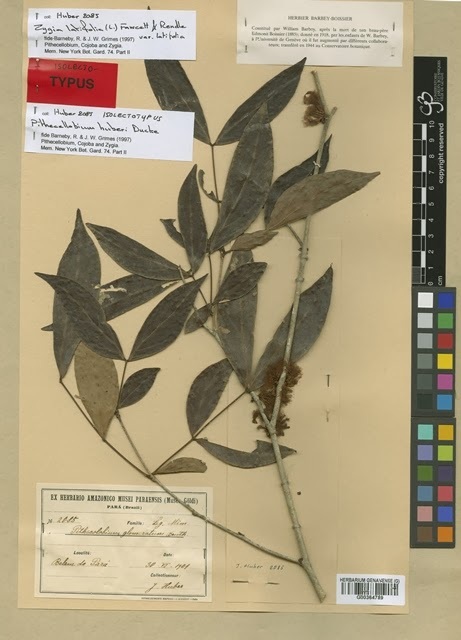 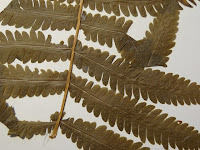 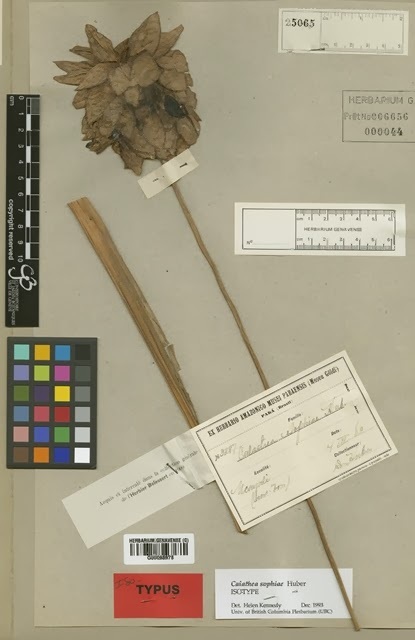 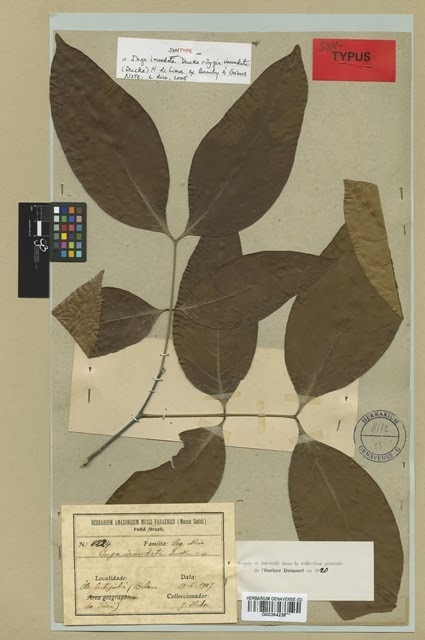 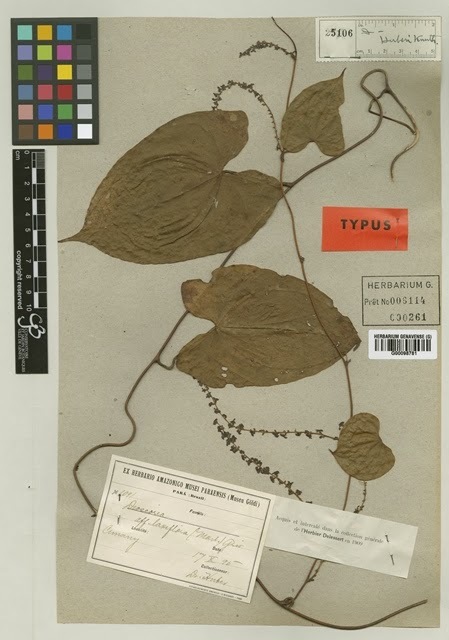 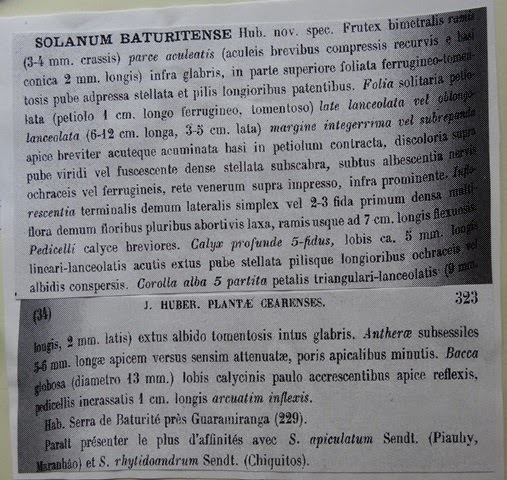 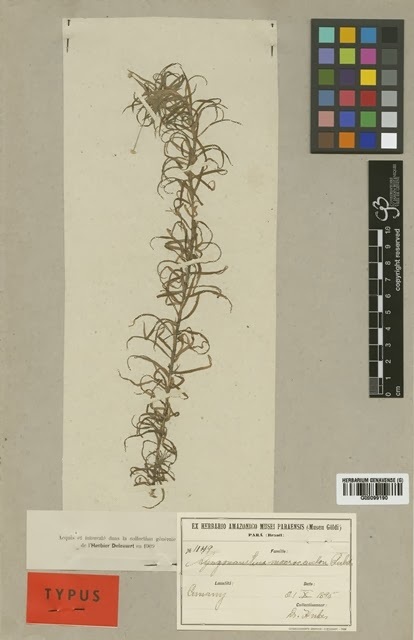 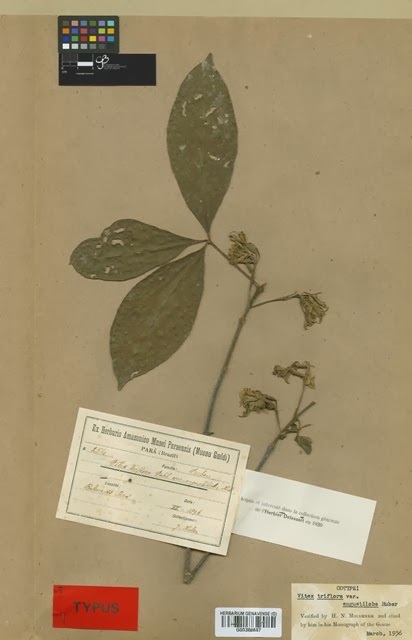 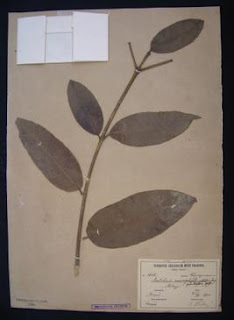 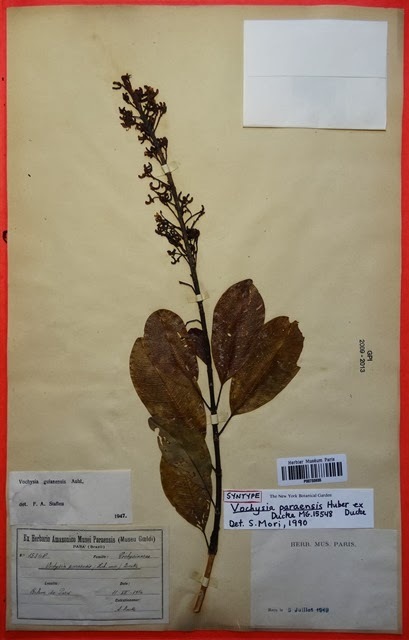 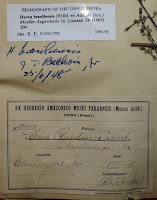 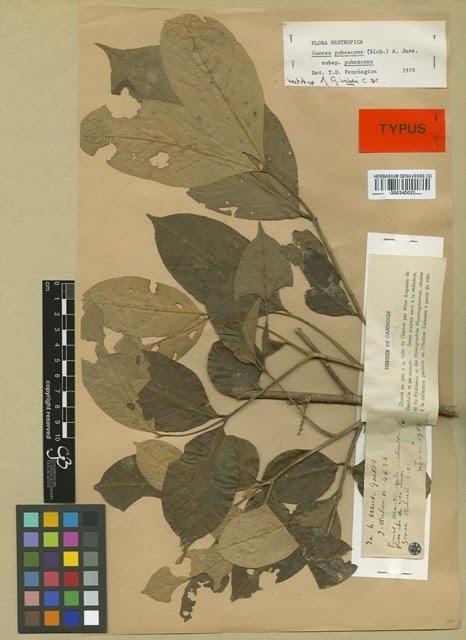 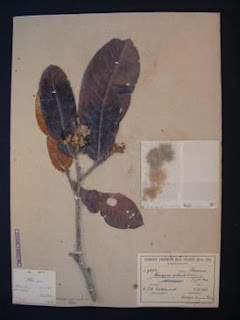 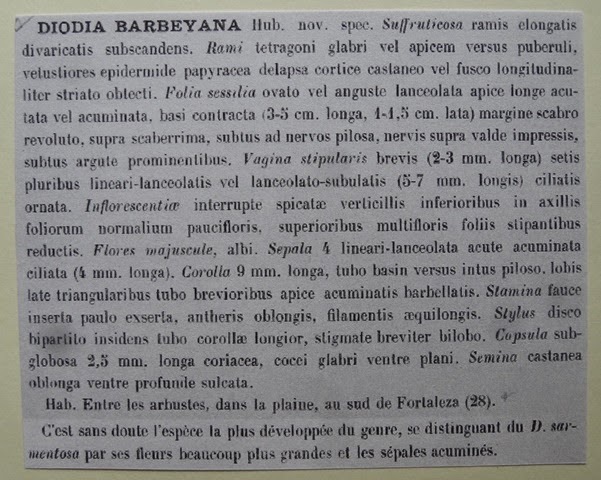 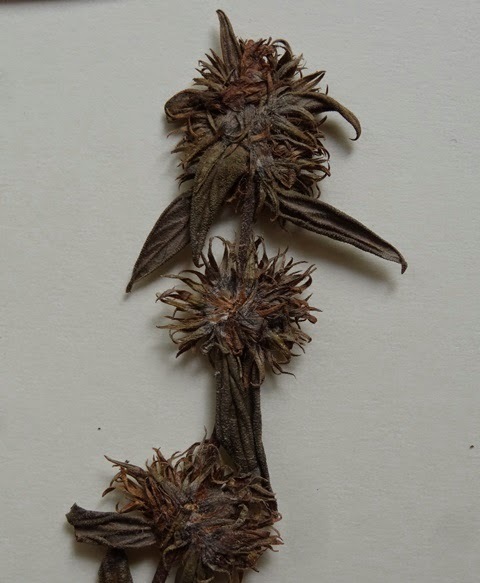 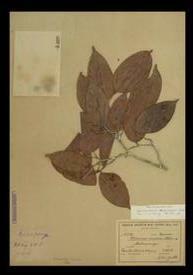 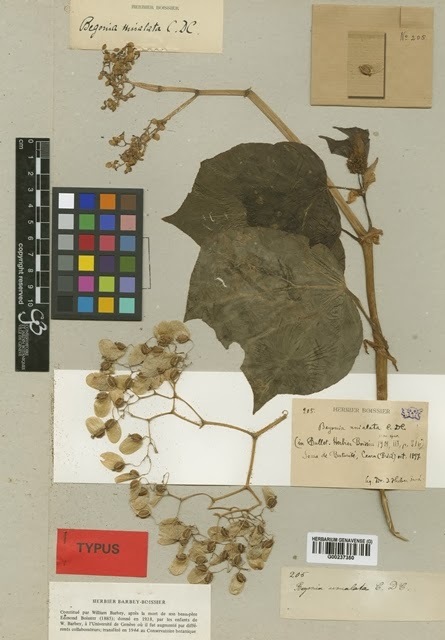 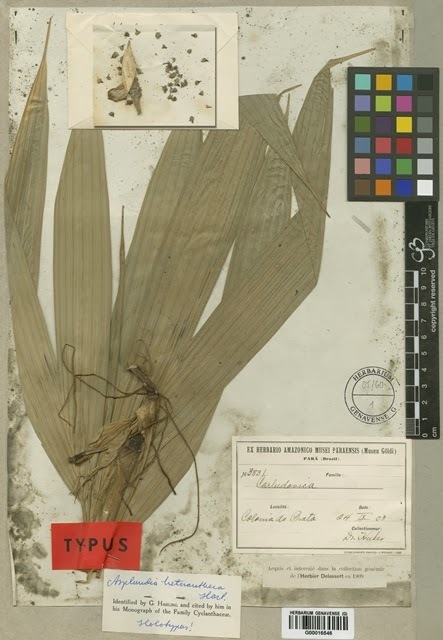 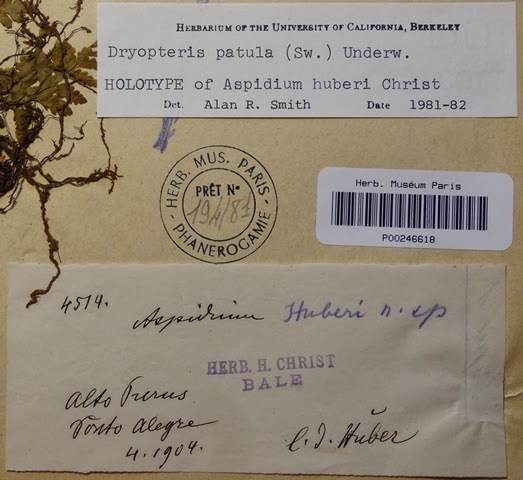 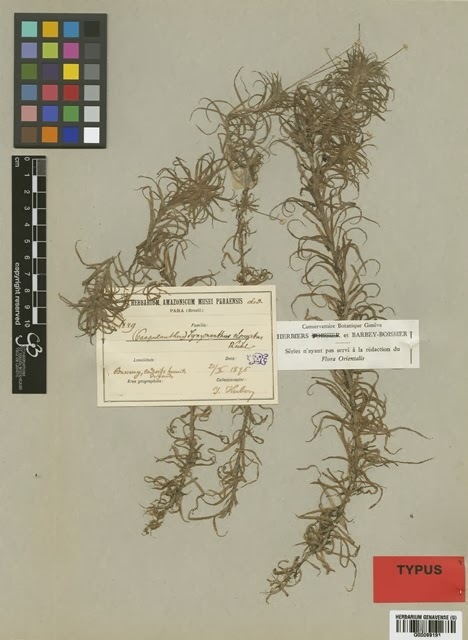 The catalog is online at Herbarium specimens (English). 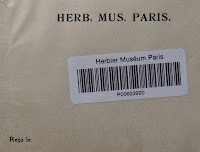 The reproduction was authorized. 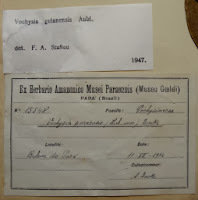 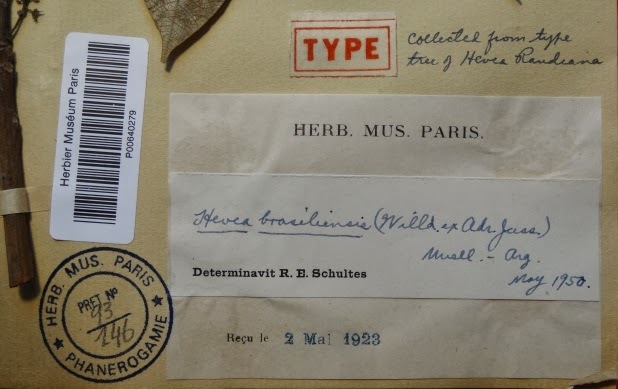 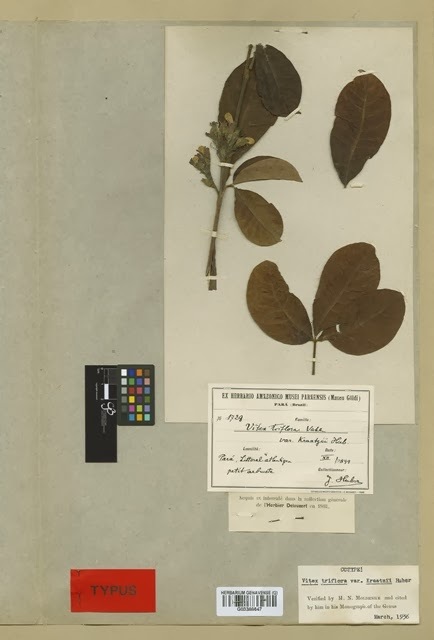 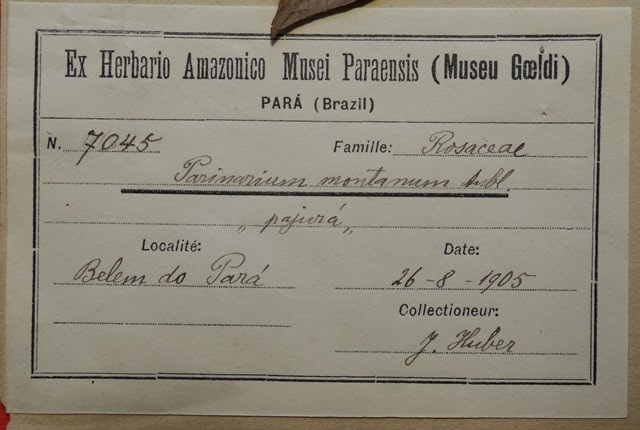 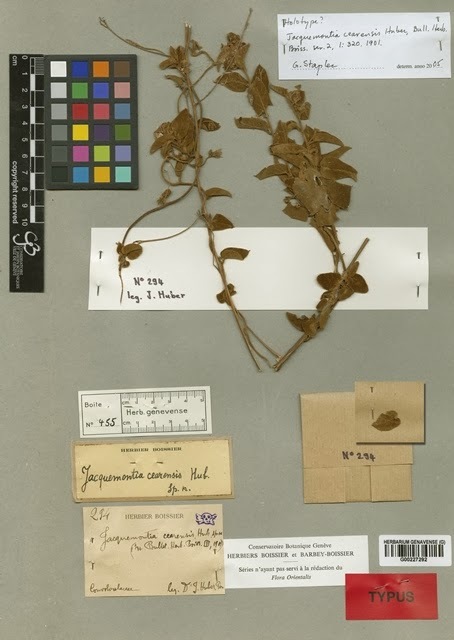 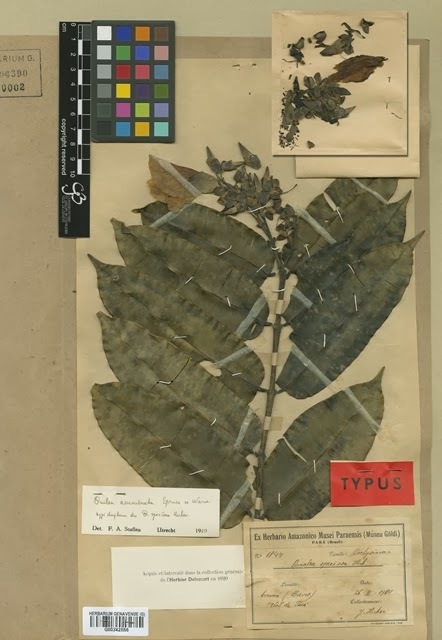 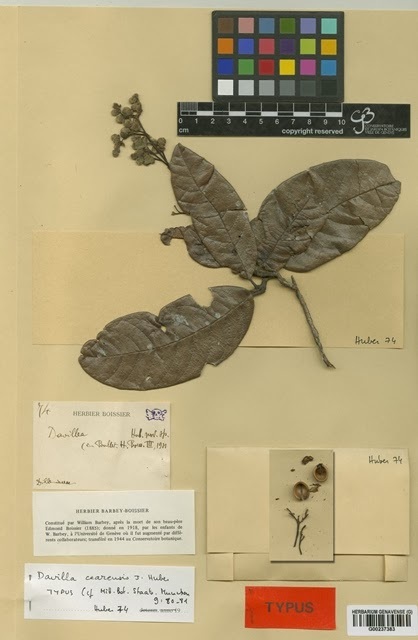 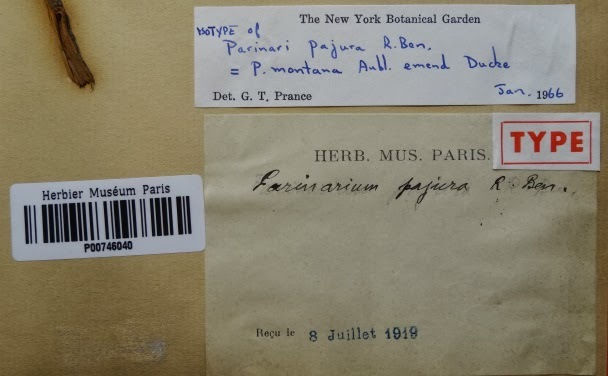 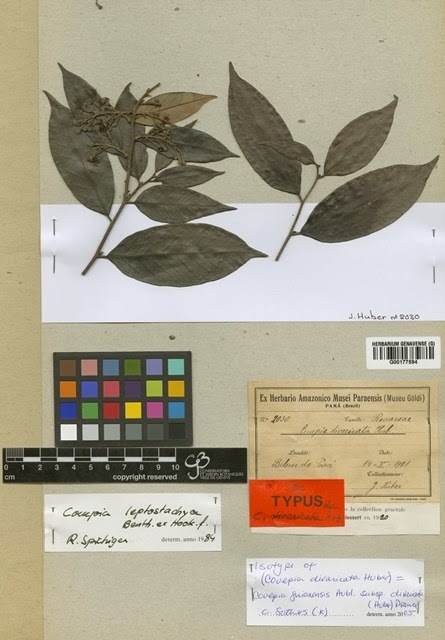 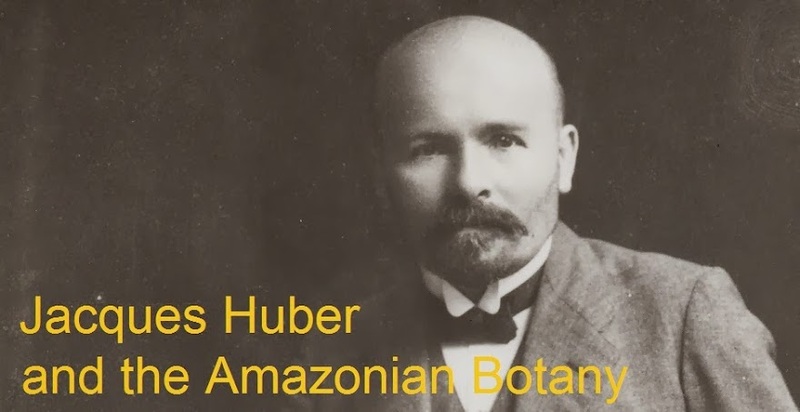 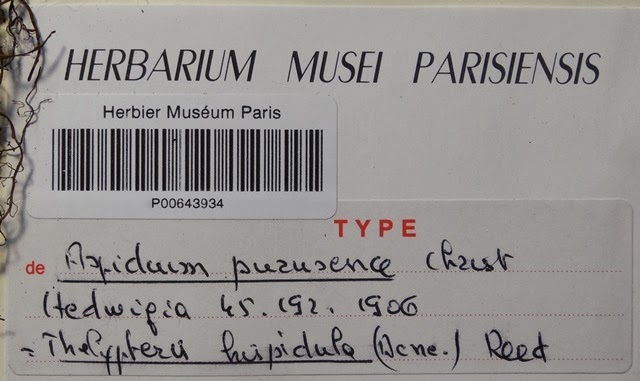 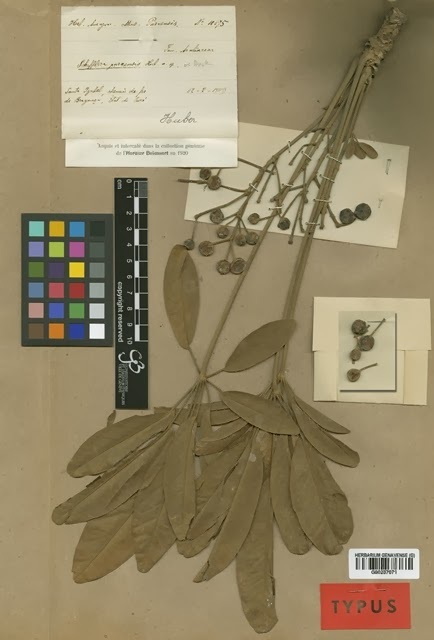 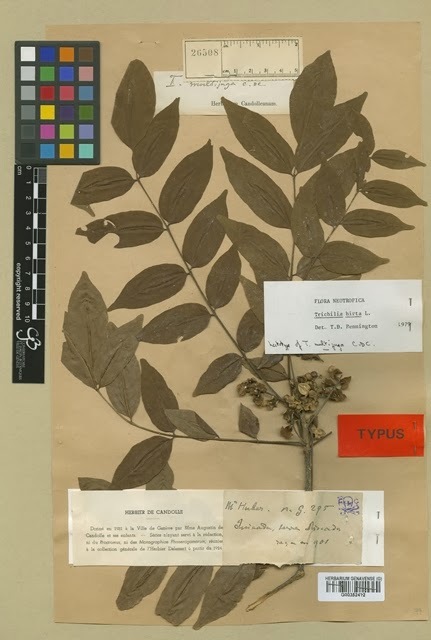 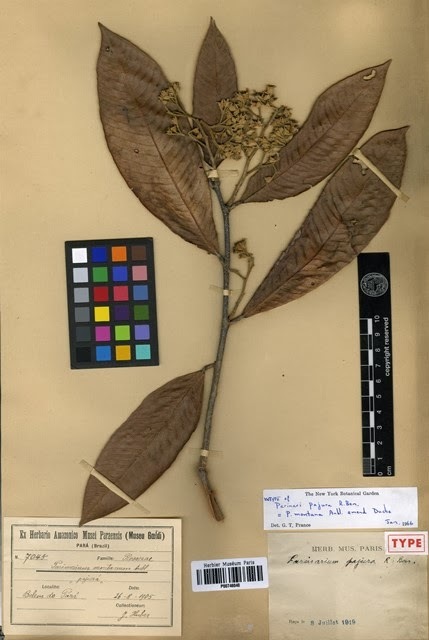 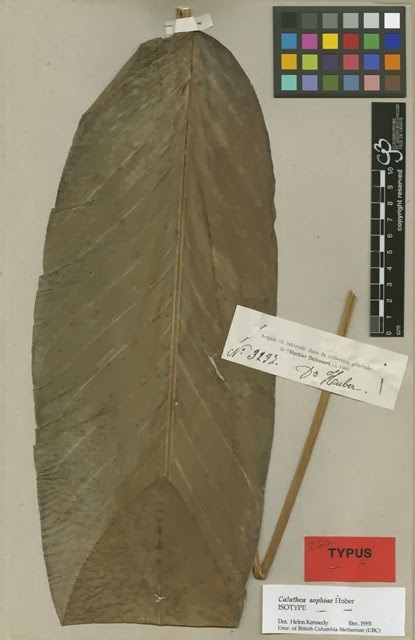 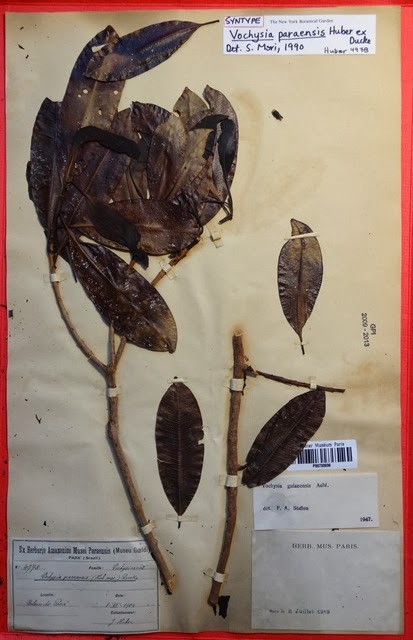 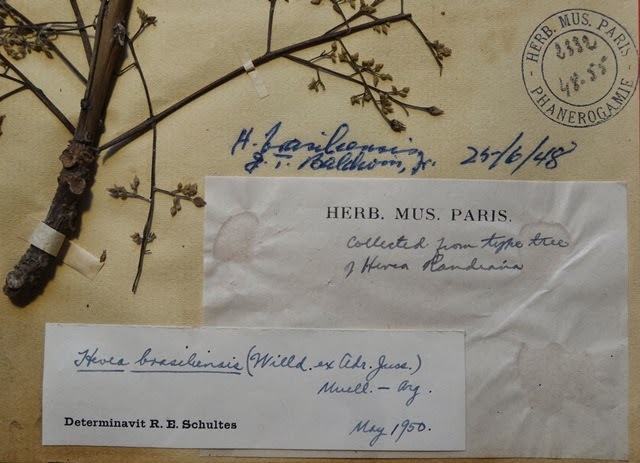 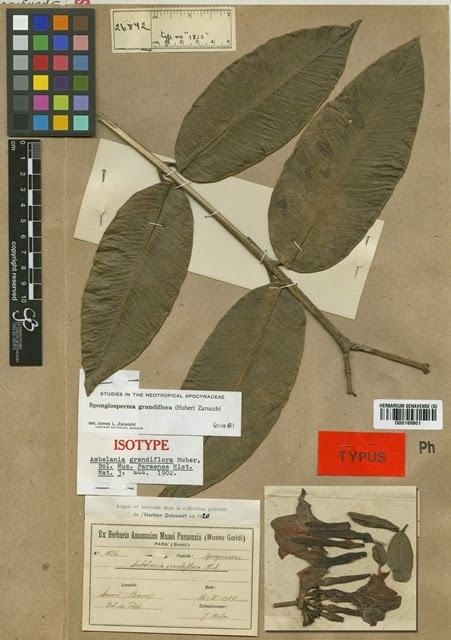 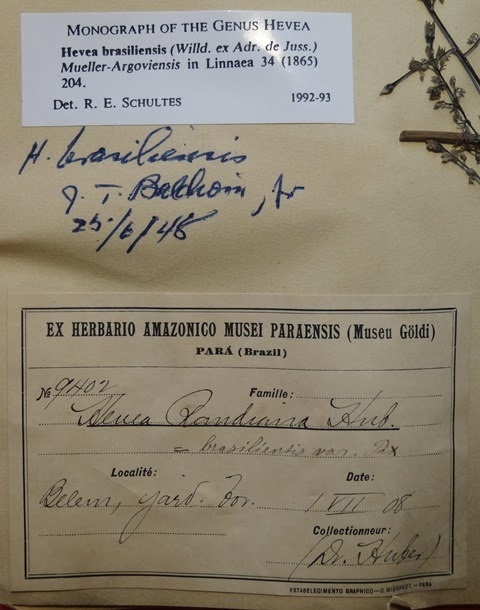 Here you can find plants collected by Jacques Huber and preserved in the Botanical Garden of Rio de Janeiro (Brazil), the Muséum National d’Histoire Naturelle (France), and the Royal Botanic Gardens (England) - including type specimens. 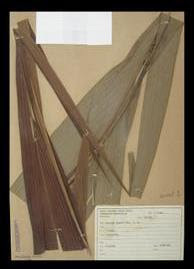 The RVH is designed to allow taxonomists to perform similar procedures to the ones they are used to do within physical collections. 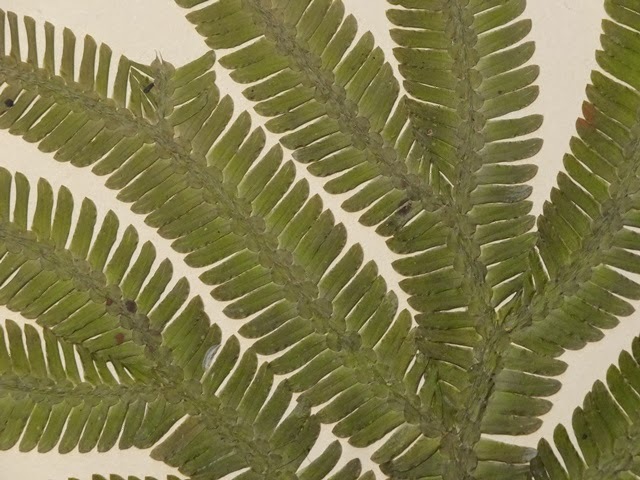 This site provides high quality images which can be consulted, re-determined and typified, amongst other functionalities (English).